The TITLE Wrist & Forearm Strengthener is the best exercise tool for blasting and building your strength workout. Manufactured of rugged industrial steel for the highest quality and security during intense training. The wrist & forearm roller increases cardio, builds powerful muscle and increases flexibility, all vital for boxing and combat sports. 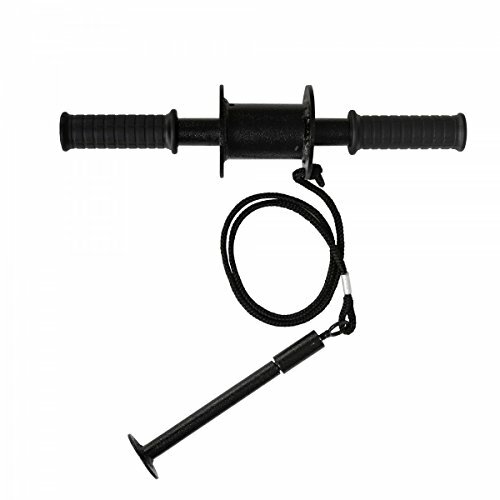 Complete with rubber hand grips, reinforced braided nylon cord, steel weight holder with easy screw top for fast changing of weight(s). Great for use at the gym, home or traveling. Compact design is easy to transport and store in gym bag between uses. Weight plate not included.